Derek & Corie, due in February with the only male child to carry on the family name (no pressure Corie 😉 They had picutres of the sonograms!! Many thanks to my sis-in-law, Christy, for orchestrating all this. After the party some of us went on the usual tour of visiting some of the old neighborhoods and going down to the river front and out to Cape Rock. We didn’t make it to Trail of Tears. Maybe next time. There were lots of pictures taken so hopefully we will be seeing more of this beautiful trip. Gotta go! I found out moments ago that this computer times out after a certain amount of time ARGHHHH! We will be taking my daughter back to college tomorrow morning. I am going to miss her so much. She brings me so much joy. She is a junior this year, majoring in Elementary Education. She had been attending Webster University in St Louis MO but is transferring to Illinois Wesleyan University in Bloomington-Normal. She will only be 35 min. from home now as opposed to 2 1/2 hrs when she was in St Louis. So at least she can come home on weekends very easily. 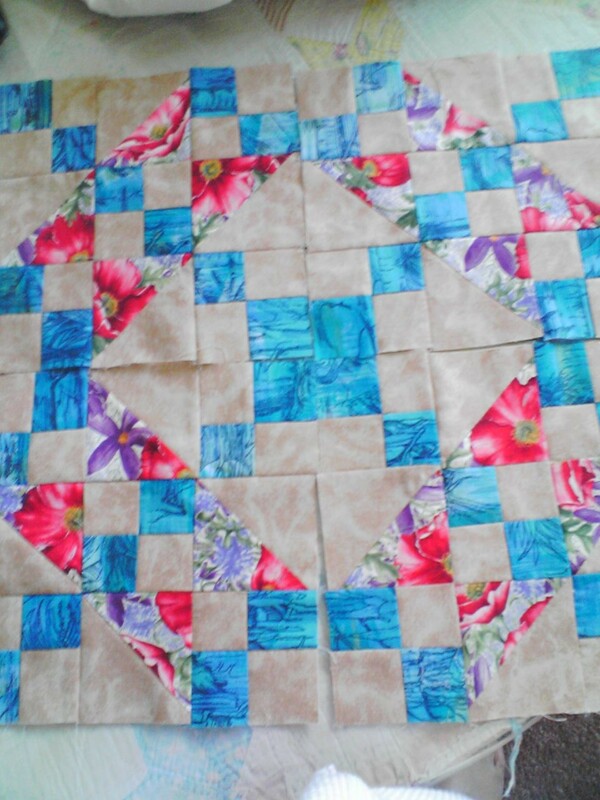 Rachel has been packing today and I have gone back and forth between handquilting and blogging. 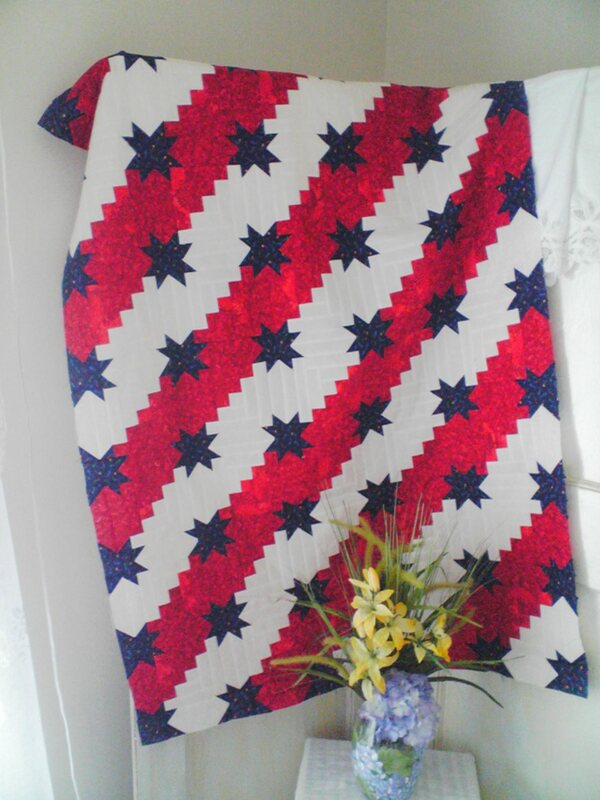 I am almost done with the Stars and Stripes Forever. It is really an easy quilt to make and I am stitching “in the ditch” so there was no marking involved. When I finish with it I will go back to that Jacobs Ladder. That one is going to take a while to quilt since it will be queen size. I have been surfing around other quilt blogs and have subscribed to those with RSS Feed. Google Reader makes it very easy and convenient to keep up with my favorite blogs. Speaking of blogs….I love this new WordPress blog. I love the new look and the new features like, for instance, the blog stats. It is fun to see how many people have visited each day and which pages they read. So I think this blog is a keeper. Well it is getting late and I need to get plenty of rest before the big move tomorrow. I will talk to you later.